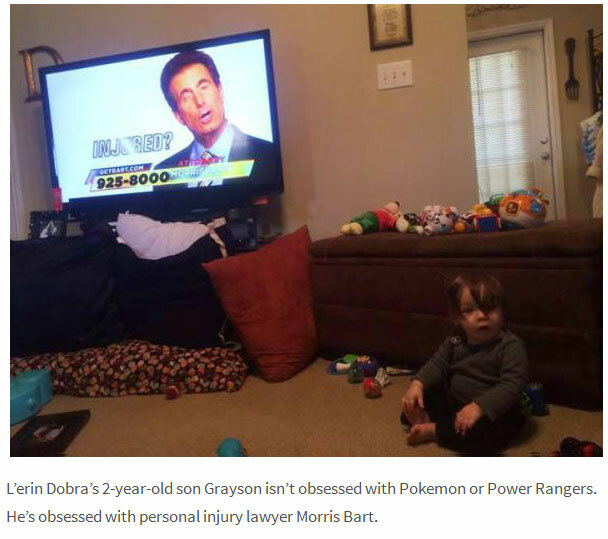 Most kids are fans of cartoons or movie characters but this 2 year old boy idolizes something very different. 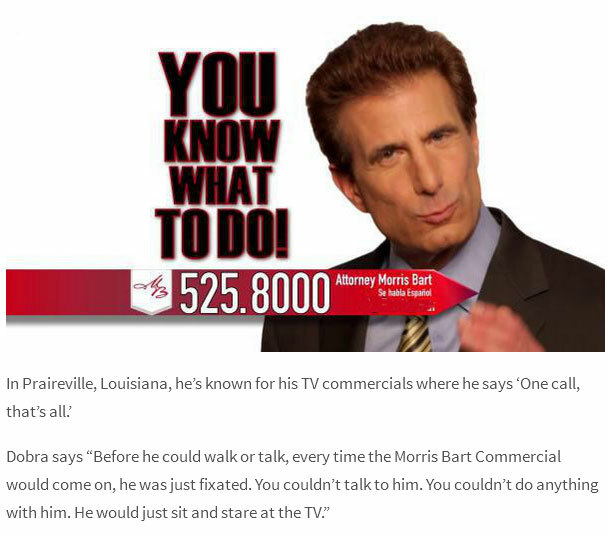 He's a huge fan of a personal injury lawyer named Morris Bart. 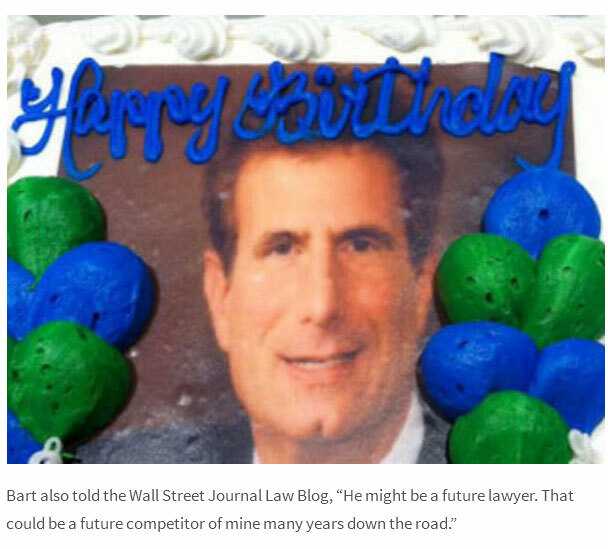 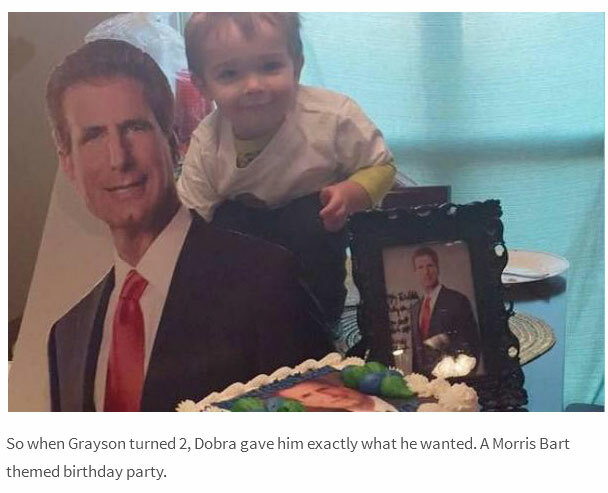 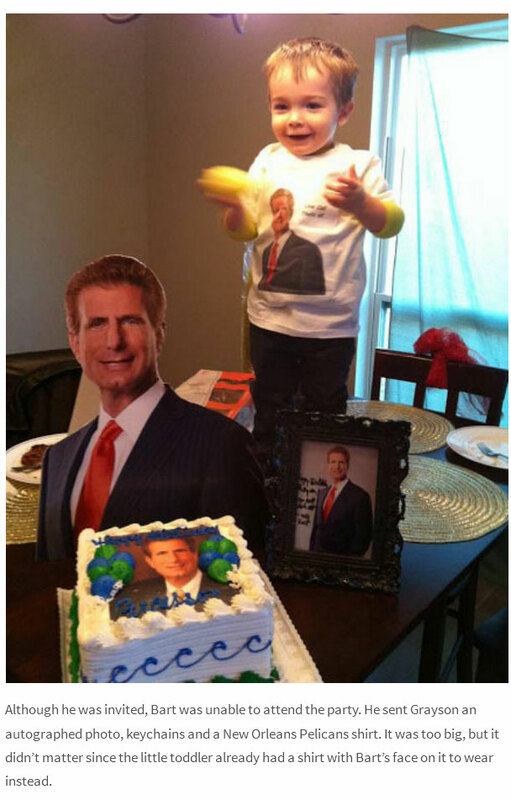 As a matter of fact, he's such a big fan that his parents even threw him a Morris Bart themed birthday party.